The QUATTRO series with their fast f/4 focal ratios, have been specially designed for high quality astrophotography with short exposure times. They are of course also fine telescopes for visual observations. 10" Quattro Tube interiors have knife-edge ray-traced baffles. 2" DUAL-SPEED LINEAR POWER FOCUSER (both models): The new linear power focuser utilises 4 precision ball bearings to support the drawtube and provide great stability and zero image shift while supporting a heavy eyepiece or camera. Moving the drawtube by the roller rather than a rack and pinion ensures exceptionally smooth operation, great feel and precise adjustability. The dual-speed feature has a second focus knob that has a 10:1 speed reduction to provide the super-fine adjustments even the most demanding users can appreciate. PYREX MIRRORS: Features paraboloidal primary mirror made of low thermal expansion Pyrex glass resulting in substantially shorter cooling-down times. "Having tested and reviewed a wide range of astronomical telescopes over the last couple of decades, for me there's one manufacturer that's risen above the rest in terms of delivering a coherent range of uncompromising, well-conceived designs, embodying consistently good optics and sensibly engineered mounts at very competitive prices — that's Sky-Watcher!!" 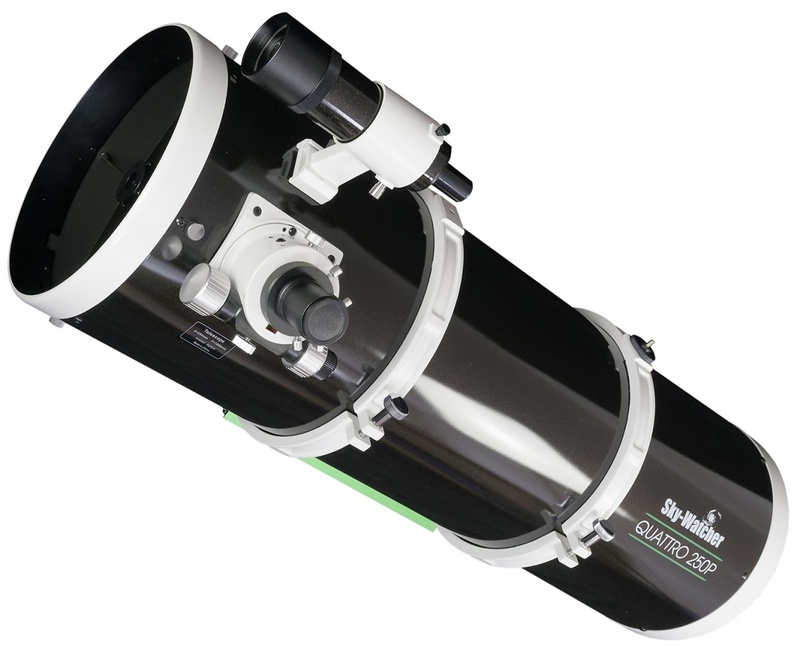 Ade Ashford has tested and reviewed astronomical equipment in a professional capacity for several publications, including Sky & Telescope, Astronomy Now & BBC Sky At Night Magazine.